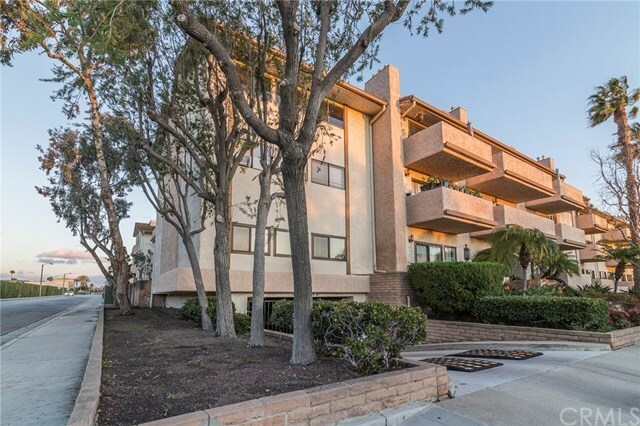 Welcome Home to this 2 bedroom, 2 bathroom, upper level, move-in ready, condo located in the highly sought after Rossmoor Regency Complex. Upon entering takes you to a large open plan layout, the vaulted ceilings and the tasteful dÃ©cor both capturing the essence of the oversized family room, dining area and kitchen. The family room boasts a gorgeous framed fireplace and sliding doors that lead directly to the private balcony, together they are perfect for your gathering with family and friends. The kitchen is clean, bright mix of function and beauty. Extending off the family room, you stroll to the large master suite or spacious adjacent bedroom. The master suite again and 2nd bedroom both have vaulted ceilings and lots of natural light. The master bathroom features a large vanity and separate make up area ideal for the gaga in you. Both bathrooms have been tastefully updated. Other amenities include convenient indoor laundry, central A/C, recessed lighting, new carpets and paint. 2 reserved parking spots in the enclosed community garage, close to the elevator. Extra storage is also available in the underground garage. Located in the highly sought after Los Alamitos School District with easy access to parks, the shops of Rossmoor, freeways and only minutes from the beach â The association amenities include: pool, barbeque, outdoor cooking & picnic area, gym, sauna, club house, billiards room, game room, banquet facilities, water, trash & gas.